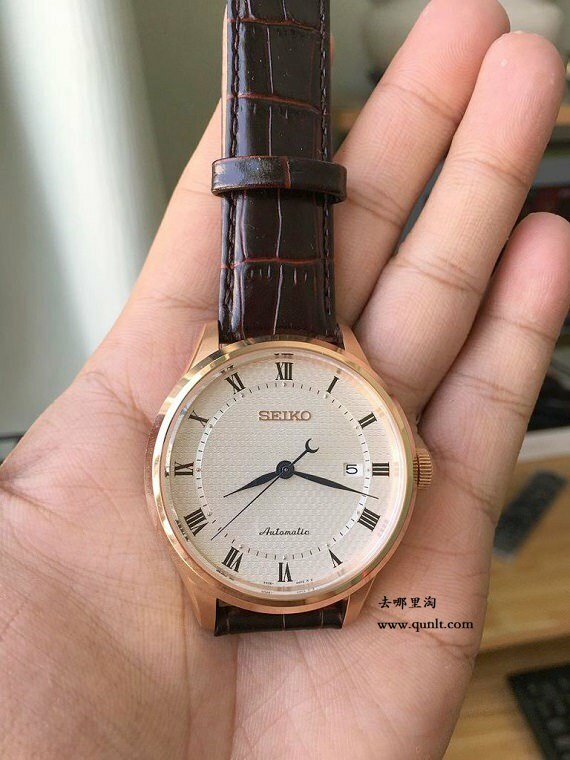 There was a thread on AAAT about the Orient Bambino automatic watch (one of the many variations https://www.ebay.com/itm/Orient-2nd-Gen ... SwUKxYgR8x) I have a Seiko 5 and numerous Timex, but I wouldn't mind getting something else. Any recommendation for new watches under $200? Under $200, you're probably going to find mostly quartz movements. However, Timex recently re-issued the Marlin with a hand-wound movement for $200. It's currently out of stock on the Timex web site, but you may be able to find it elsewhere. Last edited by nerdyk on Thu Feb 22, 2018 5:11 pm, edited 7 times in total. ...Timex recently re-issued the Marlin with a hand-wound movement for $200. It's currently out of stock on the Timex web site, but you may be able to find it elsewhere. That Timex Marlin is very cool. I'd probably impulse-buy one if I saw one anywhere at a reasonable discount (though it looks like the "street price" on eBay is in the $275-300 range). Keep in mind that it's *very* small at 34mm. Much, much smaller than most modern mens watches (which are probably in the 40-42mm range, as opposed to my personal preferences, which is probably 36-38mm). The Hodinkee review has a wrist shot, but the author of the piece (Cara) is a fairly slender woman, so the picture might be a little misleading. If you don't mind a 42mm or 43.3mm watch, the Seiko SRP772 and SRP709 are both strong choices. My wrists are a little small at just under 6.5" so they're both a little bit too large for me. Both use the Seiko 4R line of movements, which are a solid step up from the one they use in most Seiko 5's. ***If you'd like either/both of these, let me know and I'll put it in the mail next week. *** No charge--but pay it forward to a struggling student when you're able to (offer open to anyone at TC, but Brian gets right of first refusal). Both were purchased by me in 2017 and have only been worn once or twice, ever. Wow, that s a very generous offer, thank you very much! PM sent on the SRP772! Very generous, indeed. I need another watch like I need a hole in the head, however. As for the Marlin reissue, I agree...it's cool, but a little on the small side, like a lot of vintage watches (including the original Marlin).